Courtland Lee is a Professor in the Counselor Education Program at The Chicago School of Professional Psychology - DC. He is the author, editor, or co-editor of six books on multicultural counseling and two books on counseling and social justice. He is also the author of three books on counseling African American males. In addition, he has published numerous book chapters and articles on counseling across cultures. Dr. Lee is the Past-President of the International Association for Counselling. He is also a Fellow of the British Association for Counselling and Psychotherapy, the only American to receive this honor. Dr. Lee is also a Fellow and Past President of the American Counseling Association. 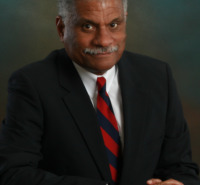 He is also a past President of the Association for Multicultural Counseling and Development. In addition, Dr. Lee is a past President of Chi Sigma Iota, the international counseling honor society. He is a charter member of Chi Sigma Iota's Academy of Leaders for Excellence. Lee, C. C. (2013). Multicultural Issues in Counseling: New Approaches to Diversity. Alexandria, VA: American Counseling Association. Lee, C.C. (2007). Counseling for Social Justice: New Approaches to Diversity. Alexandria, VA: American Counseling Association. Lee, C.C. (2015). Social justice and counseling across cultures. In B. Herlihy & G. Corey (Ed.) ACA Ethical Standards Casebook (Seventh Edition). (pp. 155-168). Alexandria, VA: American Counseling Association. Lee, C.C., Na, G. & Pebdani, R.N. (2013). Cross cultural counseling. In D. Capuzzi & D.R. Gross (Ed.) Introduction to the Counseling Profession. (Sixth Edition) (pp. p 77-96). New York, NY: Routledge. Lee, C.C. (2012). Social justice as the 5th force in counseling.. In C. Y. Chang, A. L. Dixon, C. B. Minton, J. E. Myers, & T. J. Sweeney (Ed.) Professional Counseling Excellence through Leadership and Advocacy (pp. 109 - 120). New York, NY: Routledge. Lee, C.C. & Na, G. (2011). Identity development and its impact on the therapy relationship. In C. Lago (Ed.) The Handbook of Transcultural Counselling & Psychotherapy.Berkshire, England: McGraw Hill. Lee, C.C. & Na, G (2013). The global context of counseling in the 21st century. Journal of Asian Pacific Counseling, 3 , 1-7. Lee, C.C. (2013). The CACREP site visit process. Journal of Counseling and Development, 91 , 50-54. Lee, C.C. (2012). A conceptual framework for culturally competent career counseling practice. Career Planning and Adult Development Journal, 28 , 7-14. Lee, C.C. & Rodgers, R.A. (2009). Counselor advocacy: Affecting systemic change in the public arena. Journal of Counseling & Development, 87 , 284-287.